I couldn’t come up with a good topic for this week, until Ashley brought the mail home yesterday. I was sitting there, thinking about having Ian’s picture on the front of a homeschool textbook, when it hit me – my younger two children have been models three times now. So, that shall be my list of 3 things for today . . . I met Susan through our blogs. She asked the girls and I to preview the unedited copy of her newest book. As I was reading it, the little Chinese slave girl appeared in my mind as looking like my Gracie. I told Susan about it and she said, “Take some pictures of her. Maybe I can use one.” And she did! If you haven’t read these books yet, I’d highly recommend them! They’re great for 8-12 year old girls (but boys and moms like them too!) Gracie has grown up so much since then. We finally got to meet Susan and her hubby this year (in fact, they came to our house for dinner!) It was fun to get a picture of Gracie with Susan. I work as a Community Manager for the company that owns Always Icecream and Clever Dragons. They had a great ad that was generating lots of interest for the girls’ site, but the ad for the boys’ site wasn’t nearly as effective. I was asked if I could take some pictures of Ian, and they liked what they saw. So, now his face graces the front page of the website AND it comes up in my Facebook sidebar on occasion too! These books just arrived in the mail yesterday! Queen Homeschool was looking for some kids to serve as cover models for some of their newest publications and, on a whim, I submitted a picture of Ian. Voila! And just like that, we have his history curriculum for 3rd grade! I wasn’t even planning to start history with him yet, but who can resist that book cover? Ashley is the wonderful photographer! 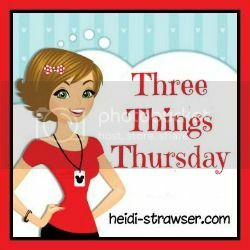 It’s time for the #3ThingsThursday #linkup with @HeidiSays. Link up your list today!